Knitting for babies is such a lovely thing to do. 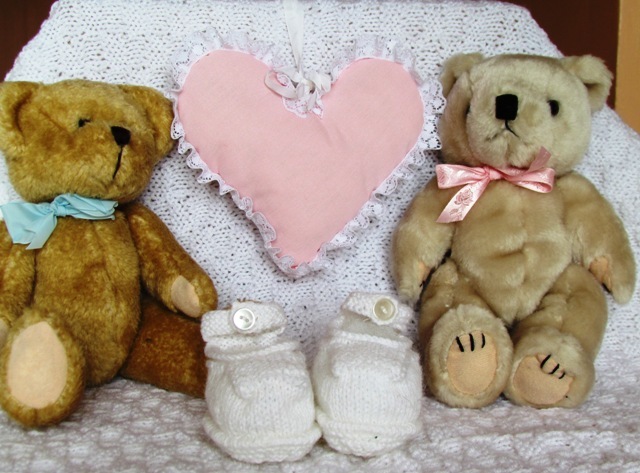 It is so special when some handmade knitting for babies and children is made or given. Some intricate patterned knitting takes a lot of time, especially if knitting a shawl with fine wool, and this just shows the love that is in the making. It is amazing what can be made just using the knit and purl stitches by letting the imagination take over and making new designs. Babies tend to go through a lot of clothes when they are little so it is good to have extras for when accidents happen. 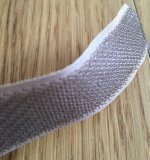 They also grow very rapidly and what used to fit them will be too small in a few weeks so larger sizes are always needed unexpectedly. This can be good introduction into learning the knitting basics, abbreviations and stitches. Although the knitting is on a smaller scale, it can be just as or even more complicated than a larger knit, but at least the garment doesn't take as long to make and a plain knit cardigan could take just a day or two to finish. 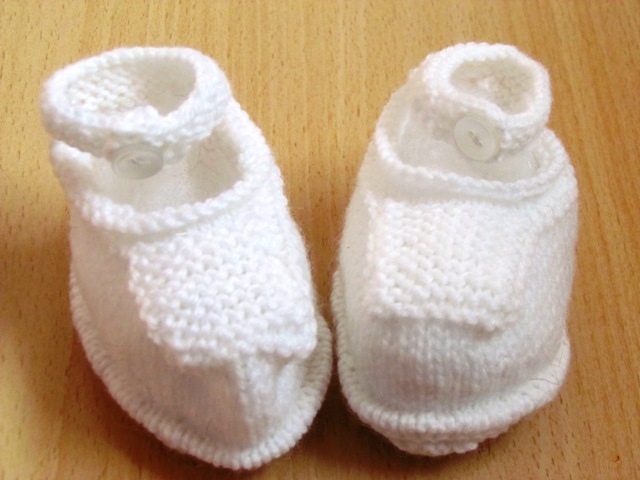 There are many items that can be made to keep baby warm, adorable little bootees which can look like soft little shoes as well as the traditional look. these keep little feet snug and help keep the feet inside the all in one suit. 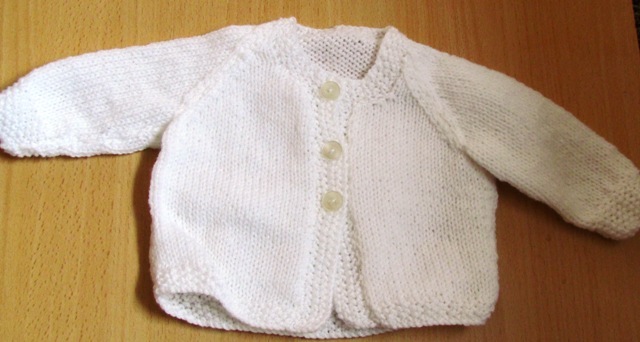 Beautiful cardigans and jumpers can be made to match shop bought clothes. Hats, gloves and thicker jumpers or hooded jackets keep the outside temperature at bay and the little ones out of the cold wind. An adventurous knit would be a lovely shawl to use when small, at a christening or naming ceremony and later as a cover up in the pushchair or pram. If a shawl is too big then smaller little blankets will work just as well. These can be done in one large knit and colour or out of many colours and smaller squares sewn together. Knitting used to be popular and it is making a revival with updated patterns and beautiful shades of different thickness of wool or yarn. Not forgetting the toy element of this craft as well with soft toys galore which can last for years. I have been knitting since my late teens and after a very long learning curve I soon got the bug and used to make my children lots of cardigans and jumpers. Ranging over the years from very thin ballet cardigans to jumpers with the then popular "My Little Pony ", " Teenage Mutant Hero Turtles " and "The Muppets" characters on them. 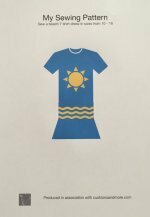 That way they could have the colours of their choice for all aspects of the garment. 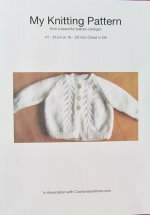 There are many patterns and wool to make some adorable baby and children knits from on line outlets such as Minerva Crafts . I have a few knitted cardigans, bootees and mittens for sale.